I've been spending a good bit of time working over at the new house, but there's also been a lot to do at our current house to get it ready to sell. 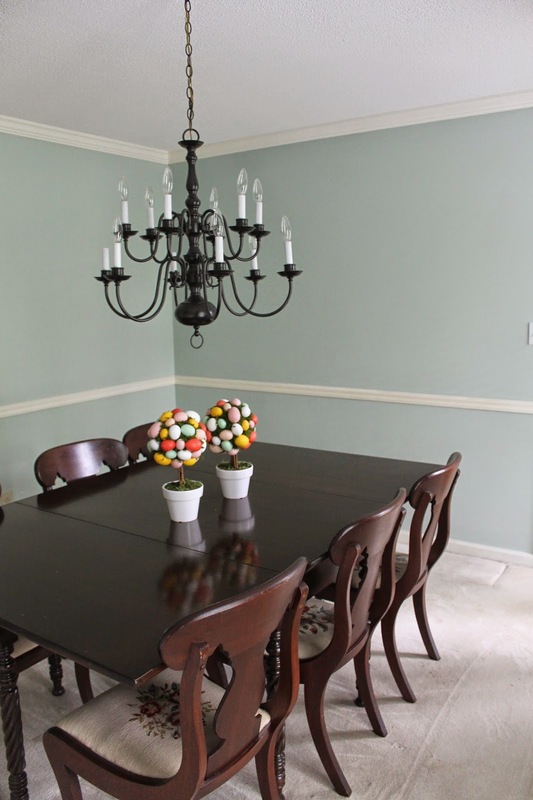 One of the rooms that desperately needed my attention was our dining room. For the first several years we lived here (before we had kids), we actually used it as a dining room. Then, we turned it into a playroom once toys exploded into our lives. 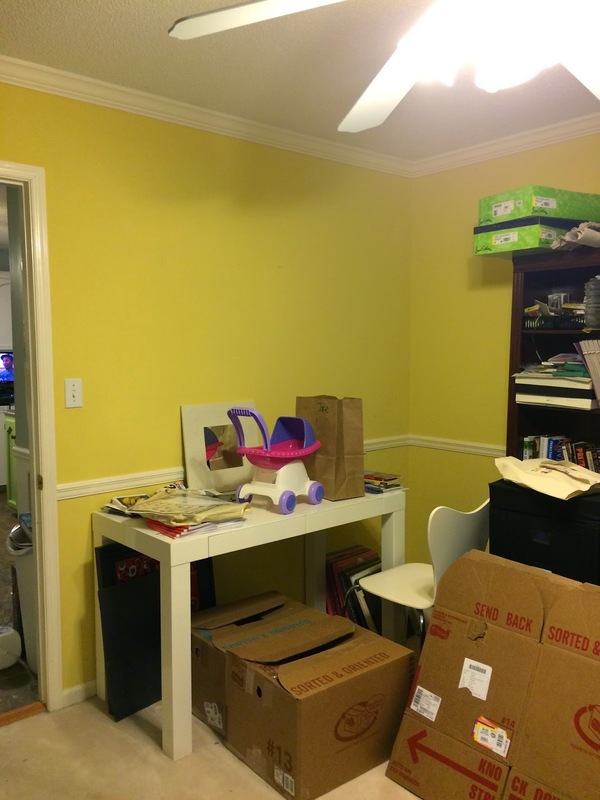 Several years ago, we turned it into Grayson's office, and last year, I moved a table in there for scrapbooking. I don't think I've ever actually scrapbooked a single page in there, but I certainly INTENDED to at some point. Keep in mind, this is a "formal dining room" that is the very first room on the left when you enter our front door. So I had a long way to go if I wanted to convert it from what you see here to its former glory. Remember a couple of weeks ago when I sanded and painted that brassy chandelier? That was part of the plan for this room. The other part of the plan was painting it, and I did that a week ago Sunday. If we were staying in this house and adding onto it, I would do a lot more to this room. But since we're selling it, I want the room to look and feel as big as possible. I'm not adding any more furniture to it. I used one of the paints I've used elsewhere in the house -- and that I'm using in the new house -- Benjamin Moore's Palladian Blue. I wanted to stay in my palette. I love the way it complements the grey in the hallway ... see it through the doorway there? Here you go, here's a nice, clear shot of how close this lovely room is to our front door. IT'S RIGHT THERE. Honestly, now I feel like I can heave a deep sigh of relief. It's always good to check another item off my To-Do List!